The volumes in the 40-Day Journey series invite readers to take a spiritual journey with a great spiritual guide from the past or the present. In this volume, readers will be inspired by Julian, a celebrated English mystic from the fourteenth century and a recluse at St. Julian's Church in Norwich, whose writings were the first works in English known to be written by a woman. Drawing from her published writings, editor Lisa Dahill here selects forty inspiring passages from Julian's work that help illustrate God's love and compassion for all. A medieval Catholic, Julian was seen as a precursor to Martin Luther and other Reformation writers. Much of what she wrote speaks of the most profound mysteries of the Christian faith, and her Sixteen Revelations of Divine Love (circa 1393) is considered to be one of the most remarkable documents of medieval religious experience. In it she speaks of the great love of God for God's people and how sin stands in the way. It is Jesus, however, who assures her, "that all would be well, and all manner of things would be well." 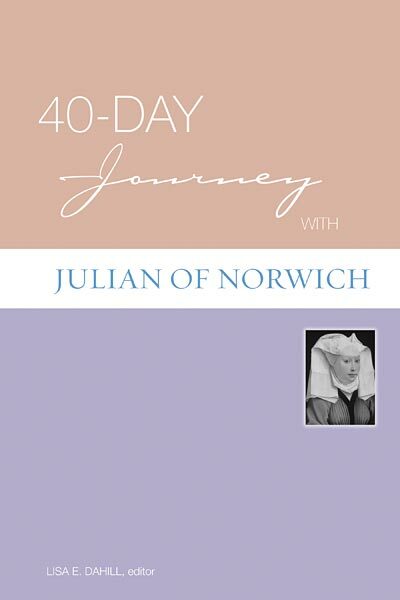 40-Day Journey with Julian of Norwich begins with a short introduction to the life of Julian and then offers forty chapters, each of which includes a reading from her writings, related Scripture passages, questions to ponder, journal-reflection exercises, and a prayer. The book also includes helps on how to use the book and hints on keeping a journal along with ideas for further reading. Each chapter in the book includes space for notes. 40-day Journey with Julian of Norwich by Lisa E Dahill was published by Augsburg Fortress Publishers in September 2008 and is our 22317th best seller. The ISBN for 40-day Journey with Julian of Norwich is 9780806680477. Be the first to review 40-day Journey with Julian of Norwich! Got a question? No problem! Just click here to ask us about 40-day Journey with Julian of Norwich.